Mellow Yellow | Theater | Style Weekly - Richmond, VA local news, arts, and events. Henley Street takes an unconventional look at racism with "Yellowman". "I have to sing to keep from crying." Patricia Ali and KeiLyn Jones co-star in the emotionally charged drama, "Yellowman." With "Clybourne Park" nominated for four Tony Awards, the recent explosion of racially themed shows on local stages, and President Barack Obama's re-election bid, Henley Street Theatre's decision to produce Dael Orlandersmith's Pulitzer Prize finalist "Yellowman" probably isn't coincidental. 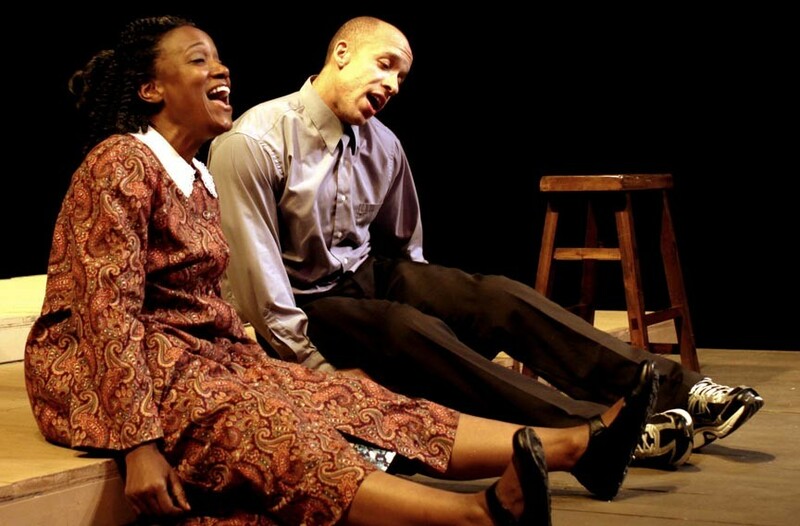 Transporting audiences to the islands of South Carolina, the play follows the friendship and romance between fair-skinned Eugene and darker complexioned Alma. What sets this script apart from other theatrical meditations on race is its focus on racism within the black community. With a cast of two, the production operates like dual one-man shows, and both actors excel at creating an array of characters. Patricia Alli does a fine job as Alma, skillfully adopting an excellent Gullah accent to portray Alma's mother. KeiLyn D. Jones brings an exceptional physicality to the stage, whether playing Eugene, his hulking father, his drawling mother or, most notably, his elderly grandfather. J. Paul Nicholas' engaging direction does its best to keep things moving. Margarette Joyner's costumes fit the bill, except for the frumpy getup that Alli first wears as Alma. Though Orlandersmith's script drags at points, it has enough drama and humor to make it enjoyable, and the show's climax is completely unexpected. While the script refers to no white characters, the influence of whites can be felt through Eugene's black friends, Alton White and Weiss. Eugene first experiences discrimination for his skin tone while visiting the White family, and the character of Weiss acts as a provocateur throughout. Henley Street Theatre's "Yellowman" plays at SPARC Center for Performing Arts, 2106-A N. Hamilton St., through June 16. For information visit henleystreettheatre.org or call 340-0115.